This artwork won first place in Bridge Works, the 1987 exhibition commemorating the 50th anniversary of the Golden Gate Bridge. 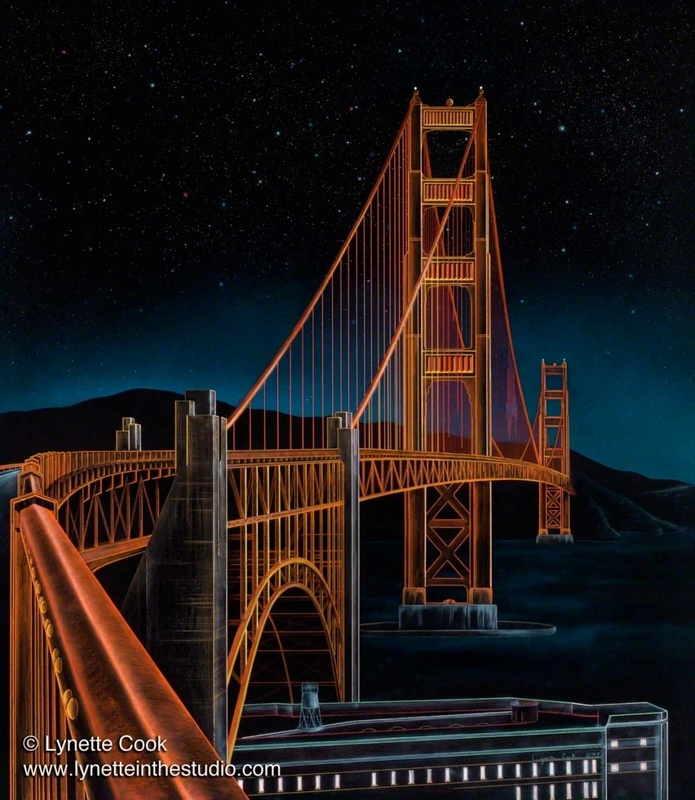 More recently, "Golden Gate" was exhibited at the George Krevsky Gallery in the 2012 exhibit celebrating the bridge's 75th anniversary. Mixed media: acrylic, colored pencil, and gouache on paper.